← 139.What have I learned from writing a blog? That a lot is 2 words. Gertie was as great as I knew she’d be. She kept complaining that her children stuck her in this hole and with no regard for her feelings. “ten” she corrected, clearly pleased that I knew her mantra. I brought her flowers and when Ronnie went to get a vase she gave me the lowdown on the “hole”. Everyone was so nice and she had the best room. She started bragging about the food and the entertainment. 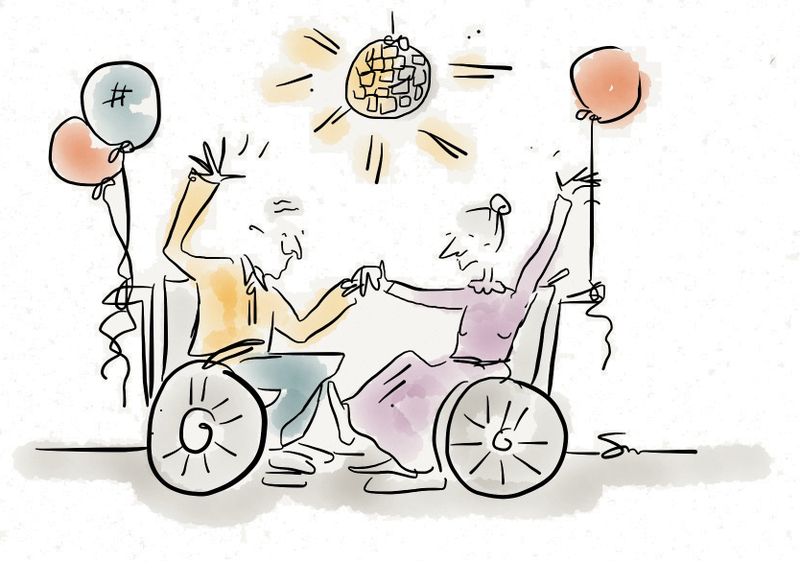 She said that the music was so good last night that even the people in wheelchairs were dancing. She has a regular card game and the sweetest russian girl who really likes her who waits on her hand and foot. We went down to the sunroom which has beautiful gardens and a view of the ocean. She met up with her friend of about 50 years who lives there too. While they were all talking I was eying some of the men. I’m not going to say that any of them would be my first choice but there was one guy who looked a little like Kirk Douglas. If you could get past the walker and the oxygen thing in his nose he wasn’t half bad. I’ve dated worse. Remember the guy who tried to run me over?